The Nightmare Before Christmas. D5rawing of Jack and Sally:). HD Wallpaper and background images in the Tim Burton club tagged: tim burton film nightmare before christmas. 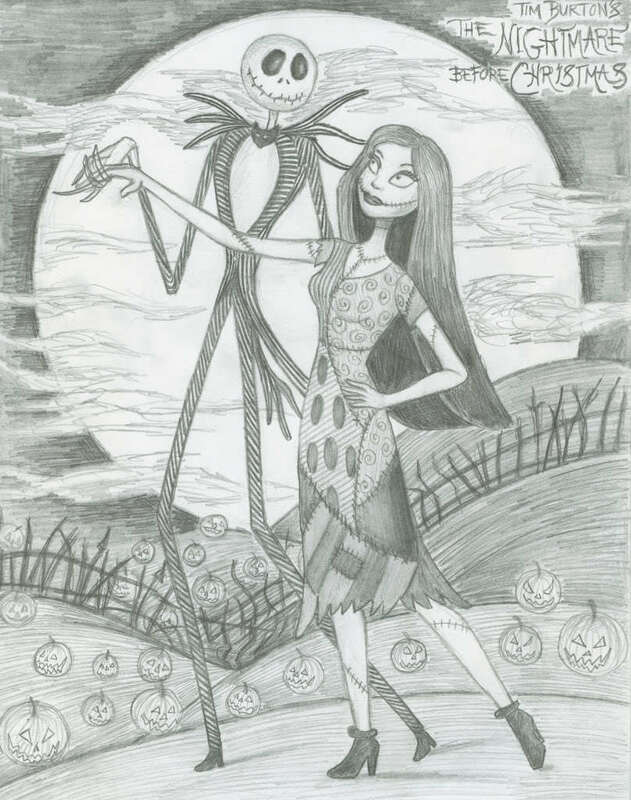 This Tim Burton fan art might contain anime, comic book, manga, and cartoon.